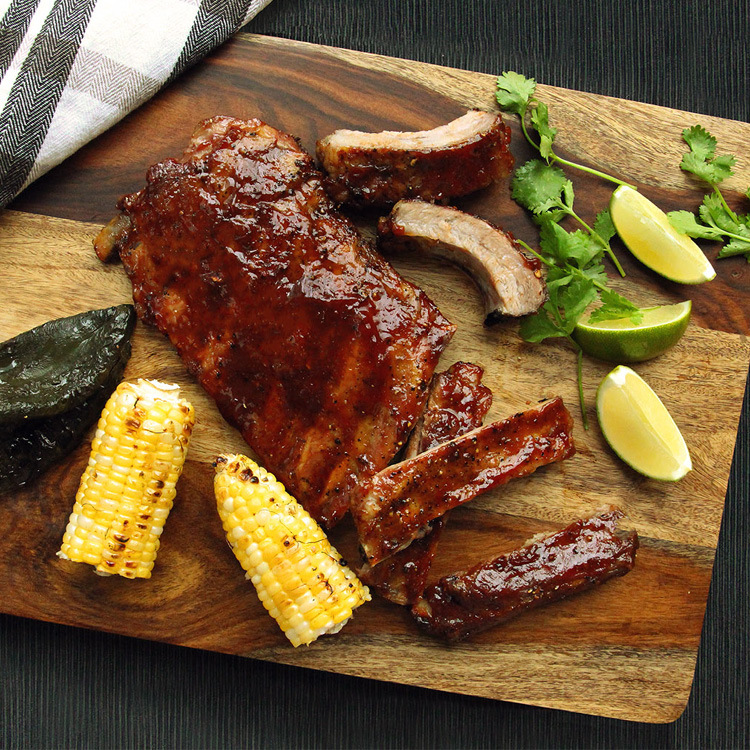 Indulge in some Sunterra Farms pork back ribs this month! Back ribs are leaner and meatier than side ribs so they don't need to cook as long to get that fall-off-the-bone texture. We love a good barbequed rib, but since we live in Canada and it's winter, we're including oven and slow cooker instructions in case you don't want to shovel a path out to your barbeque. Whichever way you cook them, you’ll probably want to remove the silverskin (a thin translucent membrane on the bone side of ribs) first. Use a butter knife or the handle of a metal spoon to get under the membrane and detach it at one corner. Then use a paper towel to get a good grip and gently pull it off. Low and slow will get the job done. Preheat your barbeque to 250F, turn off one side and put your raw ribs on the side that’s turned off. Start basting with sauce (optional) after 30 minutes and barbeque until the ribs are fully cooked and tender, usually 1.5 to 2 hours. 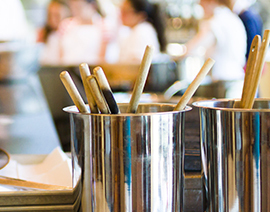 Visit Put Pork on Your Fork for their beer-brined ribs with honey beer baste recipe. Baking back ribs on low will give you great texture with deliciously crispy edges. Preheat your oven to 275F, season the ribs and slather them with sauce. Bake meaty-side down on a sheet tray for about 2 hours with the ribs covered in foil. Flip the ribs over, slather more sauce and continue baking sans foil until the ribs are fully cooked and tender, about 30 minutes. 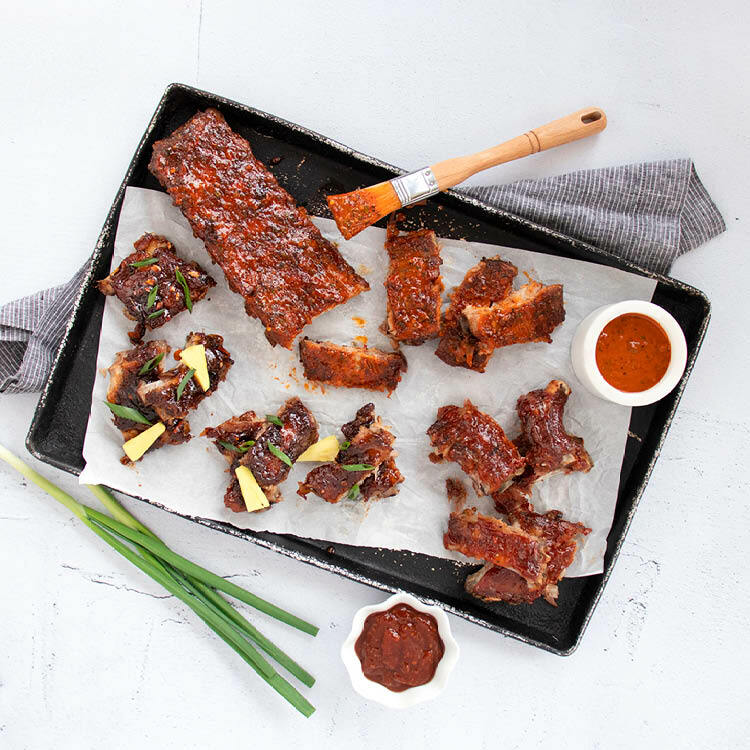 Check out Mijune Pak's spicy maple tea BBQ pork ribs recipe over at Passion for Pork. Simply slather in sauce and set your slow cooker on low for 7 to 9 hours, or on high for 3 to 4 hours. We recommend the first option - the longer they stay in the slow cooker the more fall-off-the-bone tender they will be. You'll probably have to cut the ribs in half or in thirds to fit in the slower cooker. These ribs will be tender and saucy but you can add a little texture by broiling them in the oven for 5 to 10 minutes after cooking to caramelize the sauce and crisp the edges.